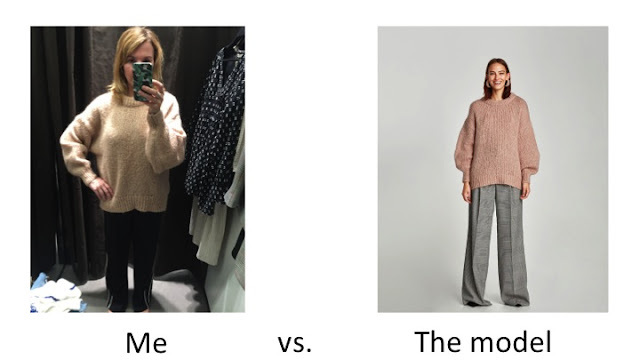 I can't tell you when I started shopping at Zara, but I can tell you I've been shopping there every season since. I pretty much have it down to a science: first, at the beginning of the season, I pick up a few key pieces that I think will be big trends. 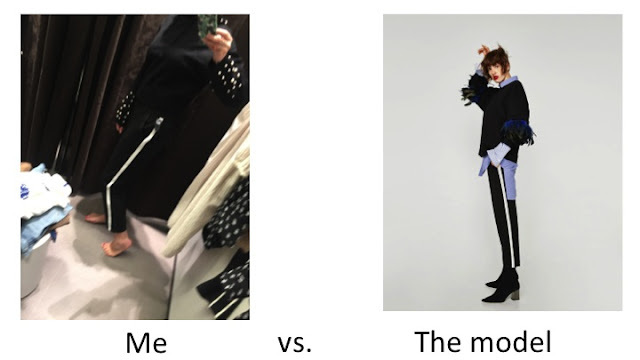 Then at the end of the season, I shop the sale, but I go for crazy boundary-pushing items and/or things I wasn't willing to pay full price for at the beginning of the season (which is generally a bad rule, but it's what I do, so there). 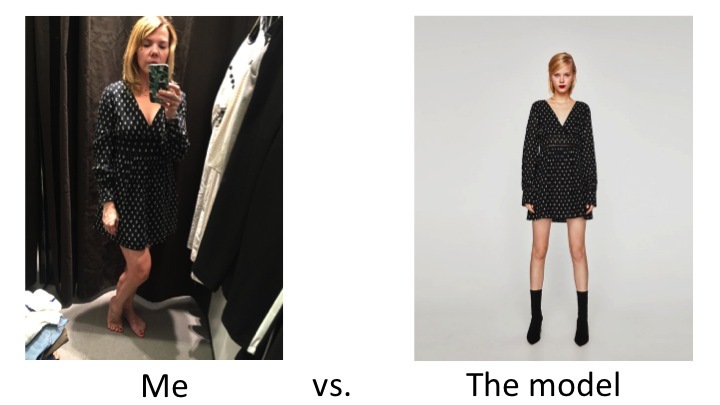 This being mid-September and the beginning of fall, it was clearly time for a Zara run, so I set out seeking a few specific items that I pre-shopped on the website. This is generally a bad idea also, but I find Zara a bit overwhelming and like to know what I'm in for. Which for fall means lots of grunge revival and Gucci knockoffs. I tried by best to steer clear of the plaid and embroidered mesh; here's what caught my eye. This checked midi dress looked cute on the hanger; not so much on me. It was pretty snug through the bust, then the pleats started a bit too high and the rest of it looked like a Little House on the Prairie nightgown. This was from Zara's younger TRF line, so I should have known better, but alas. This black and white dress, also from the TRF line, looked super cute on the hanger and in spite of not having a zipper, had a pretty flattering fit. It also had long sleeves, which are actually practical in cooler weather. I would have bought it, except that it was about 2–3 inches too short. Again, another reason why I need to stay away from TRF. Much better was this pair of side stripe trousers which I thought I wasn't going to like but was pleasantly surprised by. The fabric was more like a fluid trouser material with a nice drape, but there were definitely sporty elements like zip pockets. They also had elastic in the back of the waistband, so they'll be comfy for the plane or a big meal. Winner winner chicken dinner indeed. 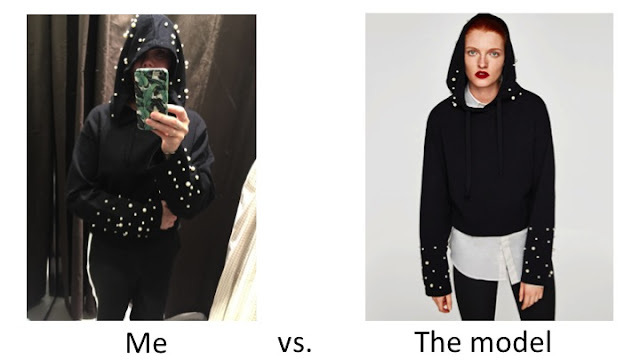 Speaking of ridiculous, take a look at this pearly hooded sweater. Pearls are also a big trend for fall, which is probably why I thought I'd give this a whirl (there are lots of pearl-encrusted things at Zara right now); my phone is covering my mouth because I couldn't keep a straight face with this thing on. It felt like something an early-'90s female rapper would wear. It was also incredibly huge and cropped at the same time (again, I'm in a medium). Even the model looks like she doesn't know how to feel about it. 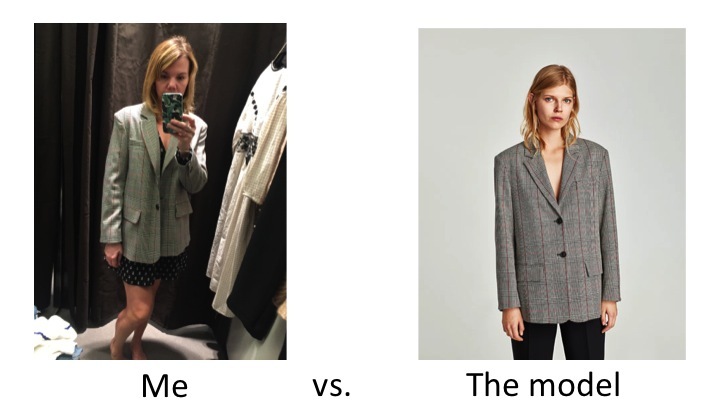 Of the four things I was specifically looking for at Zara, only the buttoned checked blazer was in stock in my size. 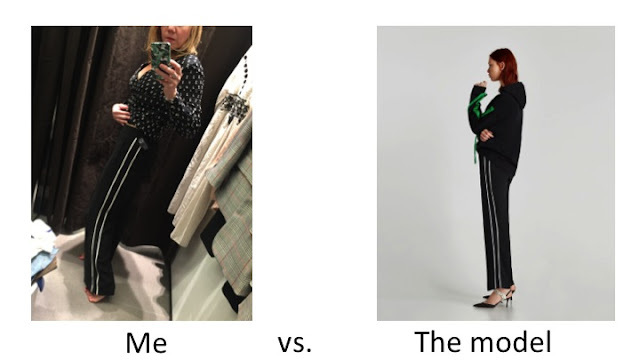 It was exactly what I was looking for—glen plaid is huge this season, and it's really similar to one from Tibi that happens to be, oh, $800 or so. It's a bit oversized—I'm in a medium and probably could have sized down to a small—but I think that's intentional, so I went for it. 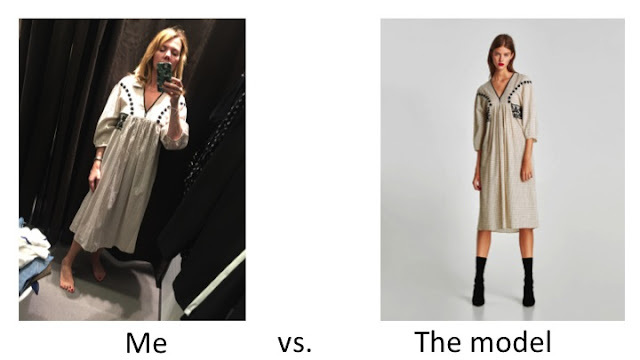 Which leads me to the question, can I still shop at Zara? Oof. Only two out of seven items came home with me, with the rest ranging from ill-fitting to downright comical. Not great odds, but I am quite happy with what I did buy. My conclusion is yes, as long as you avoid the TRF section and shop with a good sense of humor.